WELCOME TO THE BG PERSPECTIVE PROGRAM! BGSU's general education program, BG Perspective: 21st Century Liberal Studies, was created with the intention to provide students with a coherent combination of courses in which active learning strategies are the norm and in which pedagogies are guided, in part, by regular, formal assessment of general education learning outcomes, thereby preparing students with a solid foundation for moving into their upper-level courses. During the completion of general education requirements, students will hone their intellectual skills that include the ability to think critically and communicate effectively; the ability to understand different cultures, modes of thought, and multiple values; and the ability to investigate forces that shape scientific and technological complexities of contemporary culture. The program features sets of general education learning outcomes, which are measurable and closely aligned with Ohio Transfer Module Guidelines. The program contains only courses that are offered on a regular basis. To fulfill their general education requirements, students must take a minimum of 36 credit hours, successfully completing courses within the domains of English Composition and Oral Communication, Quantitative Literacy, Humanities and the Arts, Social and Behavioral Sciences, and Natural Sciences, which are domains required by the state; additionally, students must complete courses which fulfill BGSU's requirements for Cultural Diversity in the U.S. and for International Perspective. To obtain approval for any of their courses to be included in the program, departments and programs are required to submit a detailed master syllabus, sample assignments and instructional materials, and a plan for assessing the general education learning outcomes in the course. These materials are reviewed by all the members of the general education committee, the Director of Academic Assessment, and the Provost during the approval process. General education assessment data is collected each term. The results will be routinely shared with faculty and the larger BGSU community. 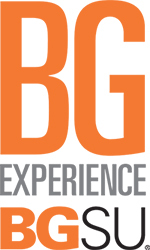 Students who were admitted to BGSU prior to Fall 2015 will fulfill the previous BGP Program requirements, which are provided in the panel on the left labeled "Students Admitted Prior to Fall 2015." BGP Faculty: This is a friendly reminder that your BGP learning outcomes assessment data are due in January 2019. For instructions on submitting BGP assessment data, please see this page. If you have any questions or need any assistance with your data submission process, please contact Dr. Jessica Turos, Associate Director of the Office of Academic Assessment at jmturos@bgsu.edu.